The body of a 2-year-old girl was discovered partially buried in a park Tuesday morning, 10/16, after the toddler was reported missing on Monday night. The child had been reported missing by her caregiver. On Tuesday morning, she led authorities to Kemble Park on Ogontz and West Olney Avenues in the city's Ogontz neighborhood across from Central High School. The child's body was found just before 11 a.m. in a wooded area. Police are considering the caregiver a suspect at this time. 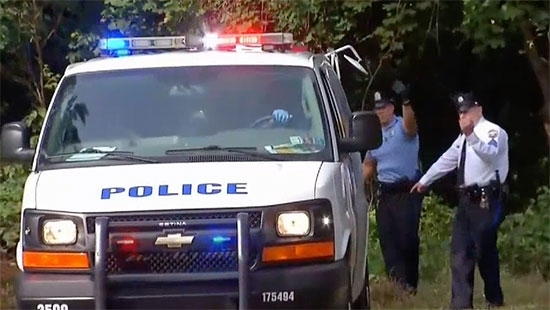 "She was in the custody of this woman; the woman led us to the location where the child was recovered," said Captain Jack Ryan of the Philadelphia Police Department. An autopsy will be performed to determine cause and manner of death. The child has not been identified and police are working to notify her parents. A man was shot and killed during a traffic dispute in Cheltenham, Montgomery County, on Monday night, 10/15. It happened around 9:30 p.m. at Dewey Road and Front Street. 29-year-old Rithina Torn of Philadelphia was a passenger in one of the two vehicles involved. When they were stopped at the intersection, Torn got out of the car and approached the driver of the other car. The other driver fired multiple shots and hit Torn twice. He was taken to Einstein Medical Center where	he was pronounced dead. The shooter is still at large. Police are using surveillance footage and interviewing witnesses. The car is only described as a dark colored vehicle. Anyone with information concerning this homicide is asked to call the Cheltenham Township Police Department at 215-885-1600 or the Montgomery County Detective Bureau at 610-278-3368. Due to emergency repair work, all PATCO Locust Street stations will be closed at 9th, 12th and 15th Streets. The only PATCO station that will be open in Philadelphia is at 8th and Market. SEPTA was performing scheduled maintenance when a power line that supplies electricity to PATCO was damaged. The closures began at 2 p.m.